Anna Cordingley is an award-winning set and costume designer for theatre, opera, dance, musical theatre and cabaret whose designs have been seen by audiences throughout Australia, Europe, Britain and the United States. She also designs exhibitions and events; and creates public art and installation. Theatre designs include: for Melbourne Theatre Company, ABIGAIL’S PARTY sets, JASPER JONES design, DEATH AND THE MAIDEN costumes (with Sydney Theatre Company); for Bell Shakespeare, ANTHONY AND CLEOPATRA, RICHARD III, ROMEO & JULIET, TARTUFFE, PHEDRE, MACBETH, JULIUS CAESAR; for Sydney Festival, MEOW MEOW'S LITTLE MERMAID (with Malthouse, tour to Edinburgh Festival 2017) and MEOW MEOW'S LITTLE MATCH GIRL (with Malthouse), MASQUERADE (with Griffin & State Theatre Company of South Australia), FRANK WOODLEY’S INSIDE; for Melbourne Festival, M+M, THE BLACK ARM BAND'S HIDDEN REPUBLIC; for Malthouse, THE BLOODY CHAMBER, A GOLEM STORY, THE STORY OF MARY MACLANE BY HERSELF (with Griffin), 'TIS A PITY SHE'E A WHORE, ELIZABETH – ALMOST BY CHANCE A WOMAN, SAPPHO IN NINE FRAGMENTS, FURIOUS MATTRESS, ONE NIGHT THE MOON, KNIVES IN HENS (with STCSA), HAPPY DAYS (with Belvoir), A COMMERCIAL FARCE, AUTOBIOGRAPHY OF RED and NOT LIKE BECKETT. Opera credits include: for Opera Queensland, DON GIOVANNI; for Opera Australia, AIDA, Opera on the Beach (costume); for Victorian Opera, SUNDAY IN THE PARK WITH GEORGE and THE THREEPENNY OPERA (with Sydney Theatre Company and Malthouse); for Melbourne Festival, RICHTER/MEINHOF OPERA. 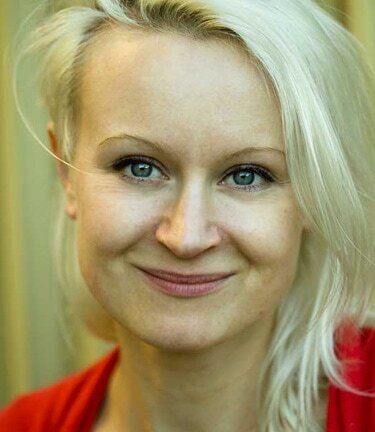 Anna’s dance credits include AN ACT OF NOW and CONNECTED for Chunky Move including European tour; HUMAN INTEREST STORY for Lucy Guerin inc.; and PUCK for Rogue/Malthouse. Exhibition designs include VICTOR HUGO: LES MISERABLES - FROM PAGE TO STAGE at State Library of Victoria, STAGE PRESENCE: THE EXTRAORDINARY SHAPES OF GEOFFREY RUSH, WAR HORSE & THE BREATH OF LIFE at Melbourne Arts Centre; AN ACCOUNT OF BRIDGES at Baltic Contemporary Art Centre (UK). Anna also creates installation and public art, including THE LETTER PROJECT for White Night Melbourne; numerous projects in France and the United Kingdom for BAMBUCO and facilitation for Brook Andrew’s THE HAGUE SCULPTURE DE OVERKANT/DOWNUNDER, The Netherlands. Anna’s major event design extends to being a principal member of the set, costume and projection design team for Melbourne Commonwealth Games Opening and Closing Ceremonies. Anna won a Helpmann Award for Best Set Design for JASPER JONES and has won two Green Room Awards for Best Design. She received an Australian Production Design Guild Award nomination for best set design for her work on JASPER JONES and has been nominated for numerous Helpmann Awards, Sydney Theatre Awards and Green Room Awards. She is a recipient of the Kristian Fredrikson Memorial Scholarship for Design and the John Vickery Scholarship. Anna is a design graduate of the Victorian College of the Arts and has a Master of Curatorship from The University of Melbourne. Anna is Lecturer in Design at The University of Melbourne, Faculty of the VCA & Music and at the Design Akademie Berlin SRH Hochschule für Kommunikation und Design. ​In 2019, Anna’s designs include: STORM BOY for Melbourne Theatre Company and Queensland Theatre and LAZARUS with The Production Company.